Hats off to Sybil Herbert, the brave Canadian dietician who has called Dieticians Canada, the "national voice of dieticians" on their corporate sponsorship in an incendiary blog post. Not surprisingly, Dieticians Canada are a little bit upset by this exposure, and they've asked Sybil to take down her post. I hope this does not happen and encourage readers to nip over and show your support for Sybil. Corporate sponsorship of professional bodies where there a conflict of interest throws up, er, interesting ethical questions is not new, just look at the American Dietetic Association's relationship with Coca-Cola. In the UK organisations such as the British Nutrition Foundation, the Association for the Study of Obesity, the National Obesity Forum, and let's not mention the dearly departed TOAST, are also funded by corporations whose interests they promote. Whilst this might be a suitable model for some kinds of organisation (the London Lesbian and Gay Film Festival has a sponsorship arrangement with Konditor and Cook to supply them with ace cakes – no deal could be sweeter in my opinion), it is a problematic paradigm for those that have set themselves up as apparently shining proponents of impartial information. 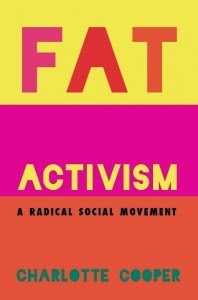 It adds to the stranglehold that dominant obesity discourse has on the way we see our bodies and it obstructs the development of alternative readings, especially those, like Sybil's, that are critical of the status quo. Meanwhile, fat activists should keep an eye on the excellent work being done through critical dietetics in Canada and elsewhere. You might like to start with Beyond Nutritionism – An Invitation to Critical Dietetics Dialogue. It's great.